The Student Book Class Audio Program includes the listening activities, the Grammar in Context passages, and various other exercises. Audioscripts for the listening exercises are located in the back of the Teacher's Manual. Focus on Grammar helps students understand and practice English grammar through contextualized listening, speaking, reading, and writing activities. 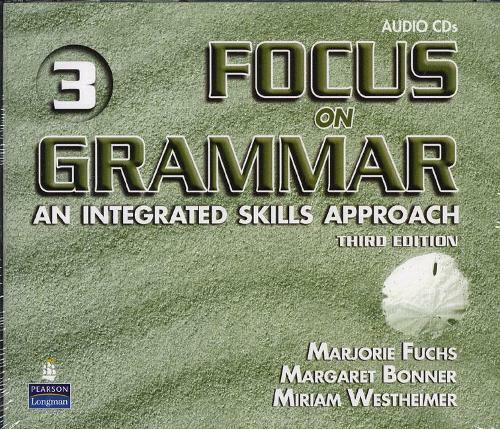 Focus on Grammar combines controlled and communicative practice with critical thinking skills and ongoing assessment.